structure. Full-bodied flavour – strong in colour. 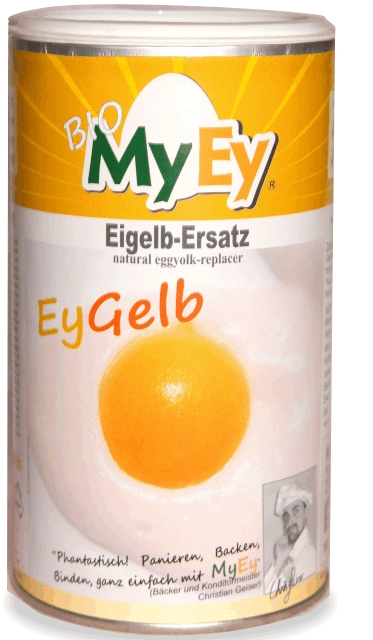 1 can of EyGelb replaces about 60 egg yolks! mayonnaise, sauces and much more. gelling agent (xanthan gum, locust bean gum flour*), ground White pepper*, ground paprika*. Note May contain traces of gluten, nuts, soy and sesame.